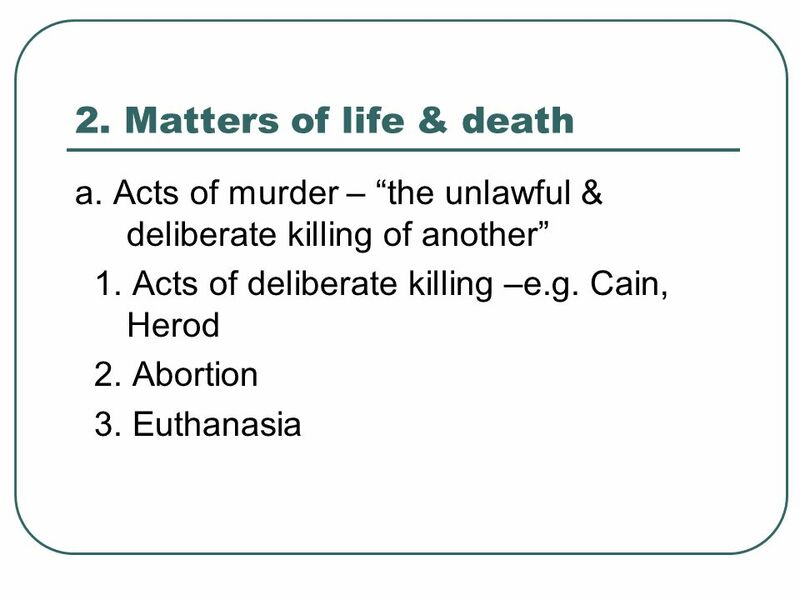 Human life is precious – Ex.20:13; Mt.5:21-26 1. Life is sacred a. God is Lord of life – Gen.2:7; Job 1:21; Ps.139:13. We are accountable to God – Gen.4:10. 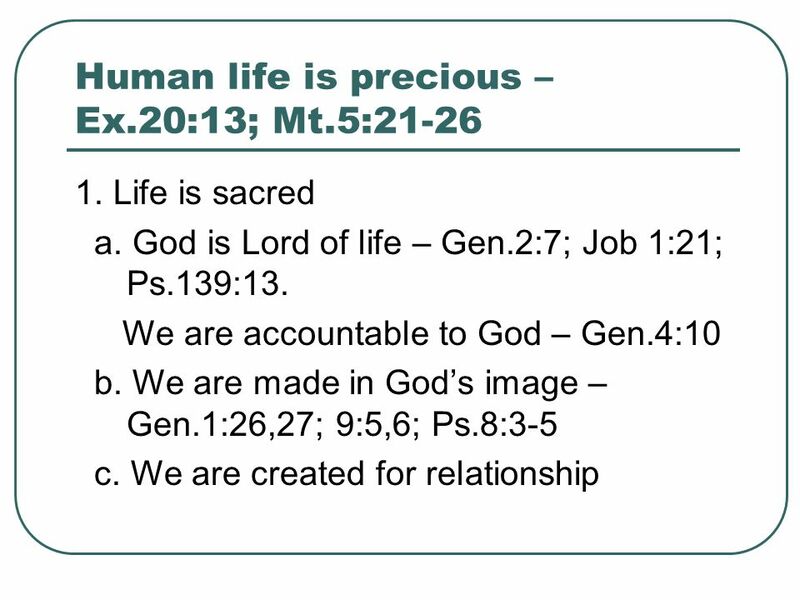 Download ppt "Human life is precious – Ex.20:13; Mt.5:21-26 1. Life is sacred a. God is Lord of life – Gen.2:7; Job 1:21; Ps.139:13. We are accountable to God – Gen.4:10." A faithful witness in the midst of trouble - Acts The trouble Paul faced 2. Pauls witness to Jesus. Evangelism as a way of life – Acts 8 1. 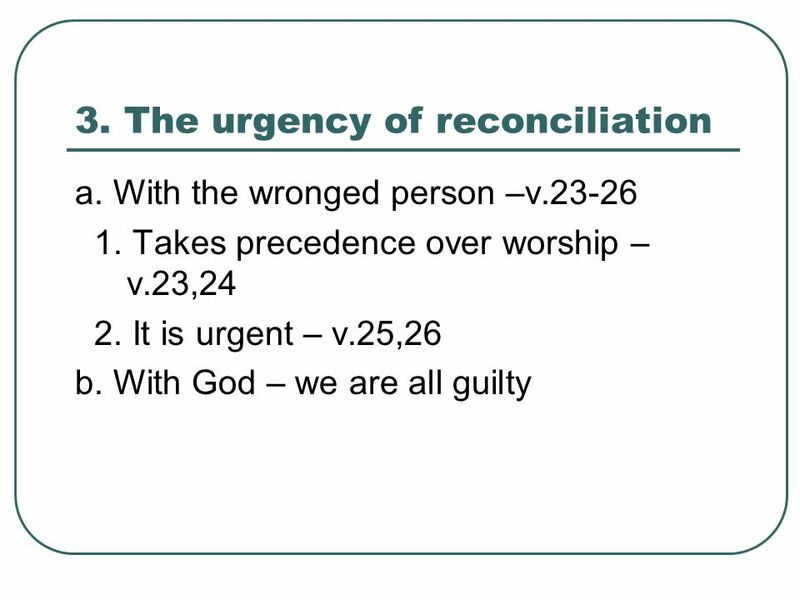 The Good News we tell others – v.5,12,35 Rom.1:1-5 a. From God – Rom. 1:1,2 a. From God – Rom. 1:1,2 b. 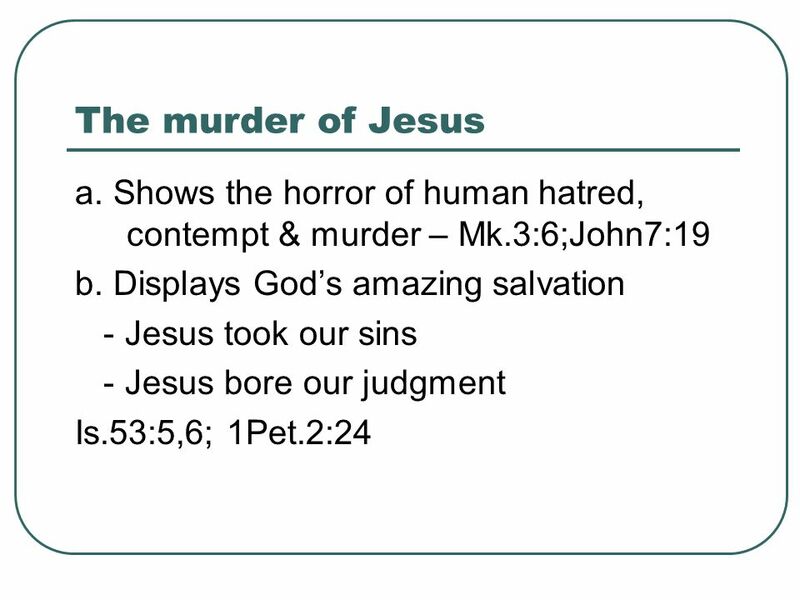 About Jesus. An Honest and Good Heart. What Does It Mean to Be Honest? We typically associate honesty with telling the truth; not telling a lie, not cheating, not. What is a Christian? What is a disciple? Exodus 19:3-6. A Kingdom of Priests Abraham trusted God enough to GO: [Gn 22:2] a pattern of trust in Abrahams life Gen 12 Get out of your country; go. 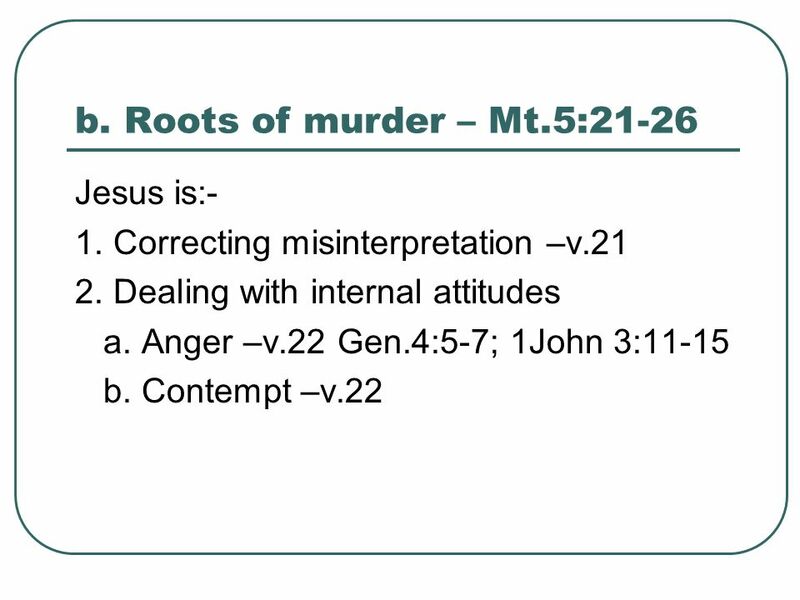 A LOOK AT MIS-CONDUCT AND HOW TO AVOID HER INFLUENCE MUCH ASSISTANCE FROM BIBLE PRINCIPLES FOR EXAMINING MORAL ISSUES GOSPELWAY.COM Beware their Influence. YOU CAN DO BETTER. The Lord’s Challenge to Us Jesus calls us to be His disciples and be in His kingdom Luke 9:23 He requires our righteousness to exceed.